Over the past 5 years, the IRF secretariat has, on behalf of its members, initiated a comprehensive work programme covering the full range of challenges currently facing the road sector. In order to address all the various aspects efficiently and effectively, the programme has been divided into lobbying and advocacy activities; the establishment of specialist working groups and project oriented sub-committees, and capacity building. These key activities are aimed at raising the profile of IRF members in relation to priority global issues that have direct impacts on both the image and sustainability of our sector going forward. Our working groups and sub-committees are practical initiatives, designed to ensure a swift response to publicly debated issues. Besides providing a dynamic platform for the formulation of position papers, policies, actions and recommendations, they serve to stimulate specific research and findings rooted in the unique expertise and experience of our members worldwide. In these respects and more, they provide a valuable showcase for the lead taken by our industry and highlight how it is uniquely positioned to meet the challenges of our times. Thanks to the topical and targeted focus of our working groups/committees (Road Safety, ITS, Environment & Climate Change, and Road Financing & Economics) the collaborating members acquire significant benefits in terms of corporate and personal exposure, networking opportunities and knowledge exchange. These sector-specific initiatives demonstrate the power of partnerships as well as the commitment of participating companies towards addressing some of the most critical challenges facing their respective industries. It is through these groups/committees that IRF experts foster high level contacts, share experience, develop content, define strategies and bring new intellectual capital back to their companies. As a direct consequence, IRF and its members now enjoy unprecedented influence among international and European decision-makers and the Federation is widely recognised as they key player defending the interests of the road infrastructure sector within leading intergovernmental organisations and multilateral development banks. We would like to invite you to join the IRF as a member and to take advantage of the IRF working groups and committees. You find more information on membership here on our website. 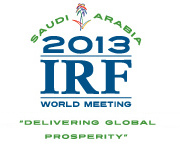 I am looking forward to welcoming you in the IRF. An attractively-designed and welcoming IRF stand provided an apt focal point for IRF members visiting this year's Intertraffic trade fair and exhibition in Amsterdam. Strategically placed adjacent to the inaugural Smart Mobility Centre, the IRF stand offered an ideal meeting place for a steady stream of IRF friends, partners and stakeholders. Under the Chairmanship of Dimitris Mandalozis, Attika Tollway Operation Authority, the IRF Environment Committee met in Amsterdam on 28 March in the margins of Intertraffic 2012. The objective of the meeting was to consolidate and approve the new Terms of Reference for the Committee and to discuss and assemble the elements of a preliminary work plan for the four Sub-Committees. 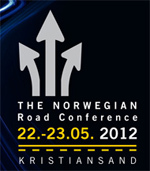 Intertraffic Amsterdam 2012, provided the backdrop for the first working meeting of the IRF Group of Experts on Road Safety. The session brought together some forty high-level delegates from six Continents. Discussion under each of the five core themes was preceded by short introductory presentations designed to stimulate creative brainstorming. 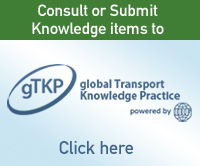 Two influential road safety publications are planned within the next few months. The first is a comprehensive set of IRF Guidelines for the Development of Road Safety Master Plans, and the second a dedicated issue of the IRF Bulletin. All members are warmly invited to submit materials for these flagship publications, which are expected to attract particular public and media interest in the context of the UN Decade of Action for Road Safety. IRF's collaboration with the European EasyWay project saw another impulse as Mr. Gilbert Konzett of Kapsch TrafficCom represented IRF during the recent EasyWay Road Map Workshop, held on 28 March 2012 in Brussels. The objective of the EasyWay partners for the workshop was to inquire with the participating organizations T&E (The European Federation for Transport and Environment), IRU, Polis and TISA on their positions and opinions on ITS services deployment. The IRF ITS Policy Committee co-hosted the ITS Summit in Cape Town, held on 8 March 2012, in partnership with ITS South Africa. The theme was “ITS as Driver for Economic Growth”. Local and international delegates shared information on how to best utilise ITS as driver for economic growth and development. Join the IRF today! Take advantage of a whole range of services including a free copy of the IRF World Road Statistics (2011), publications and preferential registration rates for upcoming IRF events! Join us, and become a part of the IRF family! To join, click here or contact us at info@irfnet.org or +41 22 306 02 60. The South African Road Federation and Road Traffic Management Corporation will be hosting its 2nd International Road Safety Conference in response to the United Nations Decade of Action for Road Safety. This Conference follows on the highly successful inaugural Road Safety Conference which was held in June 2011 and will evaluate the successes and lessons learnt since the previous Conference. Examples of other international experiences will also be shared with the ultimate aim to contribute towards reducing the carnage on our roads. Please diarise the 14th & 15th August and look out for full conference details which will follow shortly.